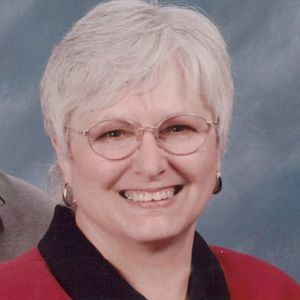 Victoria "Vikki" L. Sauer, 72, of Beaver Dam went to her Heavenly home surrounded by her family after her courageous battle of cancer on Wednesday, March 20, 2019 at Hillside Manor in Beaver Dam. A time to gather and celebrate Vikki's life will take place on Monday, March 25th from 4 p.m. to 7 p.m. at the Koepsell-Murray Funeral Home in Beaver Dam. Another time to gather will be held on Tuesday, March 26th from 10 a.m. to the time of the Memorial Mass of Christian Burial at 11 a.m. with Father Michael Erwin presiding at St. Katharine Drexel Catholic Church in Beaver Dam. Vikki was born on November 8, 1946 the daughter of Harold "Cy" and Ellen "Lynn" (Miller) Zentarski in Gary, Indiana. She was a 1964 graduate of Randolph High School. On May 13, 1967 Vikki was united in marriage with the love of her life Ronn Sauer at St. Michael's Catholic Church in Beaver Dam. She retired from Shopko in Beaver dam after 30 years of service. Vikki was a member of St. Katharine Drexel Catholic Church in Beaver Dam. She played an instrumental role in starting the Pregnancy Support Center of Dodge County; being a co-founder, helping writing the bi-laws of the chapter, and was the first president on the board. Vikki and Ronn enjoyed many road trips all across the US and Canada. She had a green thumb and had a passion for planting flowers. She will be deeply missed by her loving and devoted husband of 51 years Ronn, three sons; Eric (significant other Erin) Sauer of Stevens Point, Kristopher (significant other Vicky) Sauer of Clearwater, FL, and Anthony (Alison) Sauer of Beaver Dam, sisters and brothers; Barbara (John) Bubolz, Terri (Calvin) Vandekolk, Joseph (Nanette) Zentarski, and Michelle (David) Retzlaff, nine grandchildren; John Michael Syx, Theodore Twet, Sabina Akright, Isabella Sauer, Vaughn Sauer, Jackson Sauer, Samuel Hernandez, Michael Hernandez and Andrew Hernandez, four great-grandchildren; Madeline, William, Abigail, and David Twet, brothers-in-law; Randy Sauer and Rob Sauer, sister-in-law; Sandy Sauer, and close friends; Teri and Ed Hernandez She is further survived by other relatives and friends. Vikki was preceded in death by her maternal grandfather Roy Miller who she had a special bond with, paternal grandparents, her mother and father, nephew; Travis Retzlaff, mother-in-law LuWayne Helmer, and brother-in-law; Roger Sauer. In lieu of flowers, memorials in Vikki's name may be directed to the Pregnancy Support Center of Dodge County (108 Parallel St #2, Beaver Dam, WI 53916). Thank you to Hillside Manor and Hillside Hospice for their dignified tender loving care that they provided. Add your thoughts, prayers or a condolence to Victoria's guestbook.